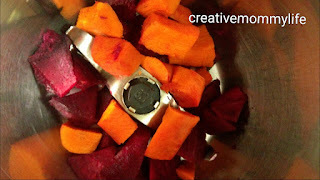 This is the blog for many creative works, early learning with my toddler, visiting places, recipies and many more. Here is a very nice and engaging logic activity for preschoolers. You can download the printable from the link below. Please do not directly share the file to anyone. 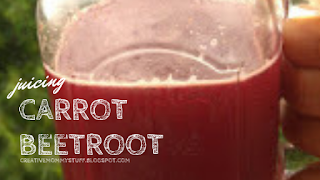 You can share the link to this blog post so that others can download from here and mention the blog name. 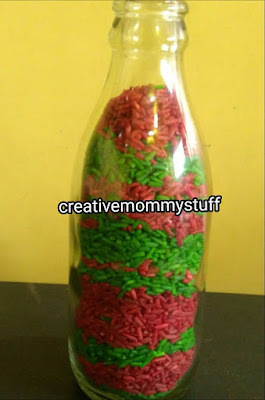 This would be a good help for the efforts taken behind making the printable and activities. Please do not directly share the PDF file to anyone. Instead direct them to this blog by using the post link. Join our Facebook group and follow us on Instagram for more videos on early learning, DIY, art and craft. I was always looking to rearrange my messed up home. So got into the home improvement drive and found out some DIY organizers to arrange everything systematically. The first one is the organizer for my toddler books, her colors, pen, scissors. After making it, I really loved it as how much organised it looks now. 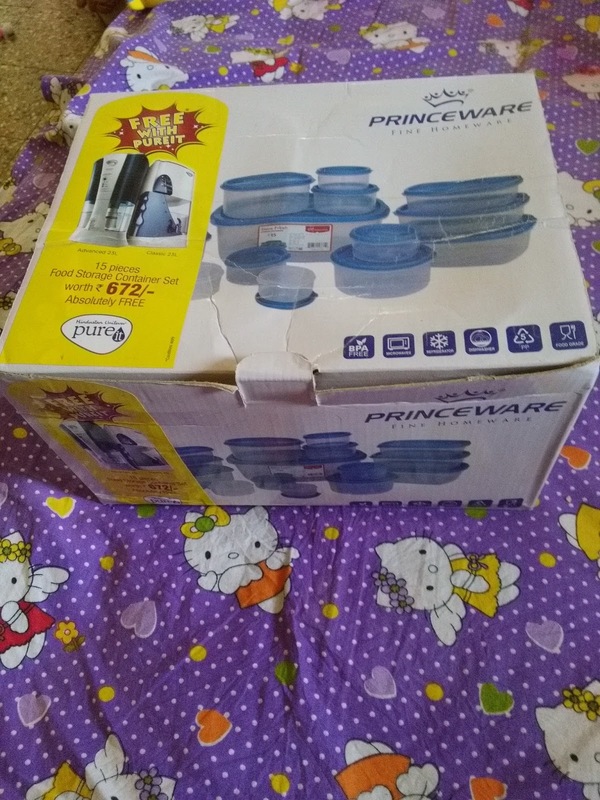 I had an empty cardboard box of plastic container set. 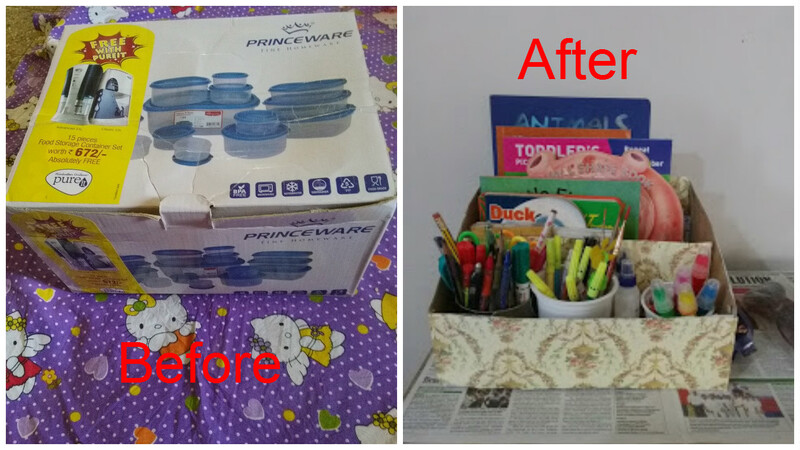 So I up cycled it into my new DIY organizer. The above image was the empty cardboard box. I cut the upper lid of the box. And then cut the two sides as in the below image shown. 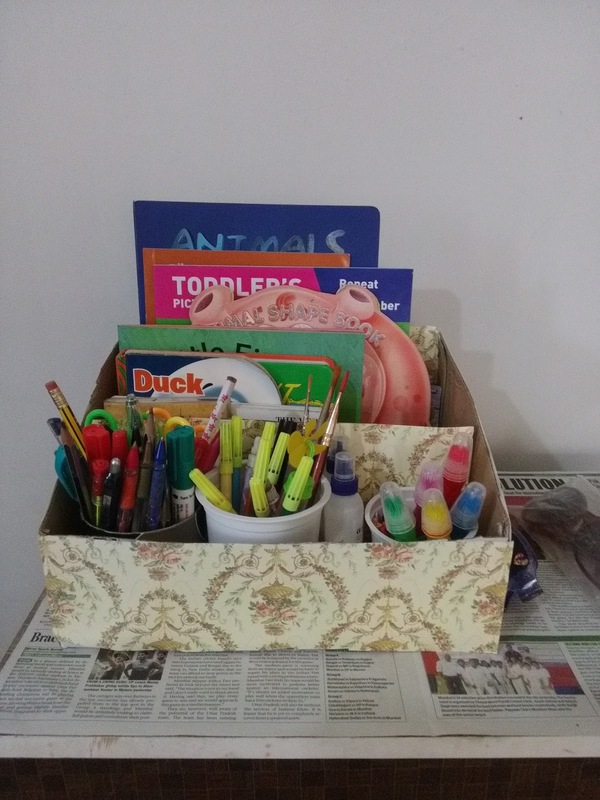 I made a partition for books and stationary with the cut piece of the upper lid. And then stick some craft papers on the sides of the cardboard box. And the final outcome is really amazing. This is how we learned our continent names. We enjoyed learning the names of 7 continents of the world by a song and then followed by a printable from totschooling. It's never too late to introduce board games for kids. It has many benefits as it helps them build team play, follow the instructions, wait for their turn and so on. The usual snake and ladder feels little overwhelming for younger children and so I created this simple board game with no snakes or ladder. Just start from 1 and reach till 20. 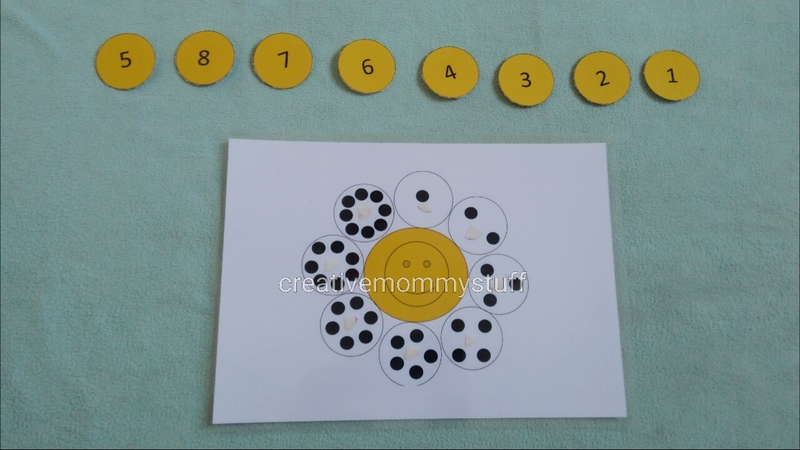 This helps kids to use dice and recognise the numbers and move accordingly. This can also be a good travel time game for kids. Easy to carry and can have hours of fun.. 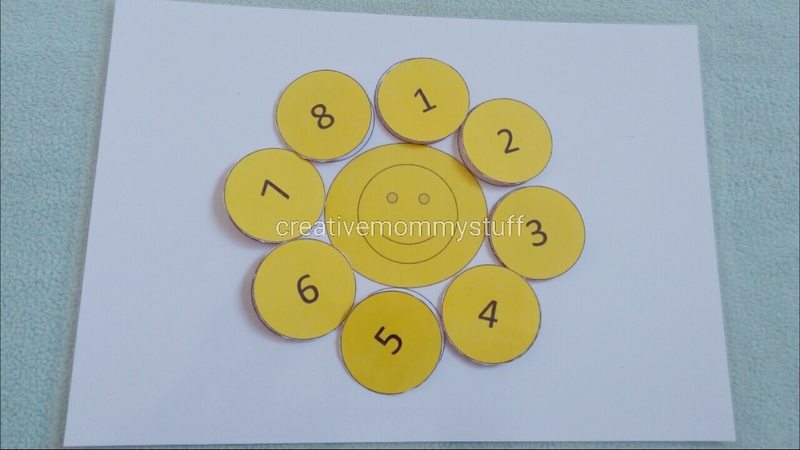 So for making number counting a little more fun and engaging, I made this smiley number counting printable. You can download the printable from the link below. Please do not directly share the file to anyone. You can share the link to this blog post so that others can download from here and mention the blog name. This would be a good help for the efforts taken behind making the printables and activities. 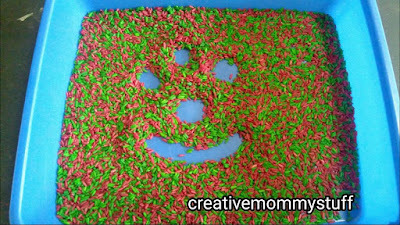 Subscribe to creativemommystuff YouTube channel and follow us on Facebook and Instagram for more videos and activity ideas.. 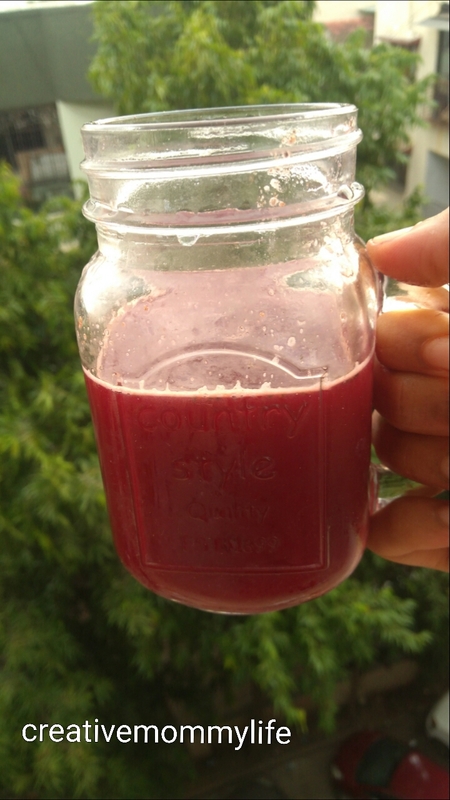 Sharing some weekend vibes here..
Had a great start of the day with this colorful jar of happiness..
We often neglect the good and simple healthy recipies and look around for ones that need some imported veggies or other ingredients that are not available easily to most of us and we leave the idea of trying them out... This happens to me most of the times.. Here's a very simple juice which we all have heard of but never tried to make it..
Preparation- take carrot and beetroot pieces in the grinder along with some salt, black pepper, Cummin seeds, coriander and add water accordingly..
Now strain the mixture and enjoy the wonderful juice.. I wonder if we can use the leftover residue in some other way as I don't feel like throwing it away.. If you have any good ideas to use it, please do share.. 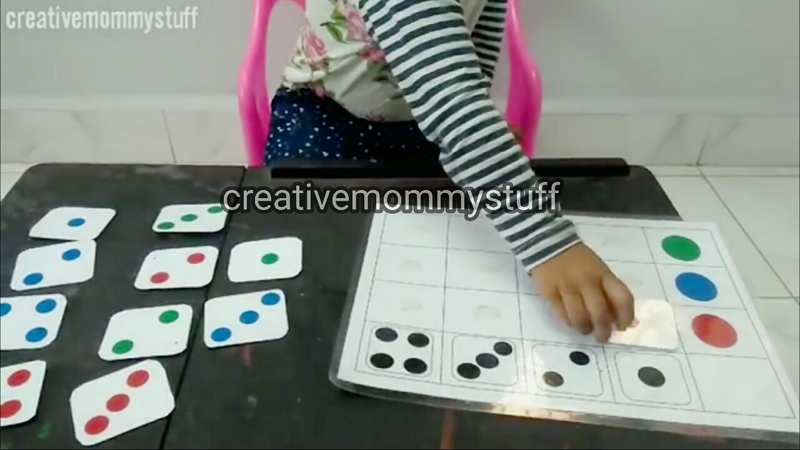 It would be very helpful..
After simple color matching and dice number and many such activities, we tried a logic game with a double entry matrix for the first time with my 30 months toddler. This was a great start to a little complicated puzzle but it turned out really well. This has inspired me to introduce more of such puzzles. This double entry matrix needs to match the color and the number on the dice at the same time. 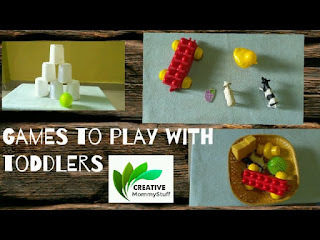 Do check out my YouTube channel for more early learning videos and DIY and craft ideas..
Hello everyone...I am so happy to post this.. We have just started with Christmas activities and had a great fun throughout the process... Let's see all the activities in detail..
1. 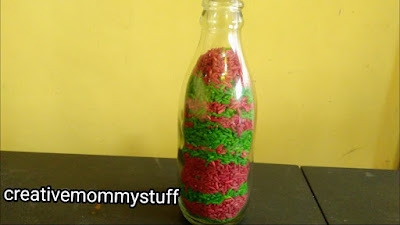 Scooping and transferring (practical life skill) - We made red and green colored rice. 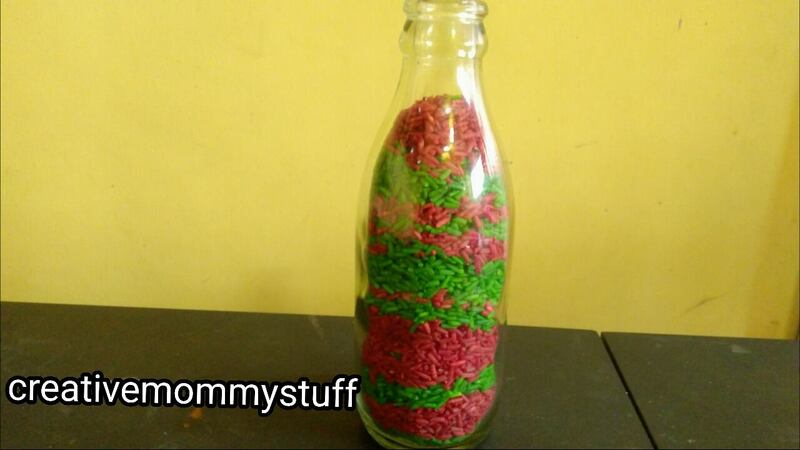 Then took a glass bottle, a funnel and a scoop. This is always our favorite but this time we extended it with making pattern of greens and red. 3. 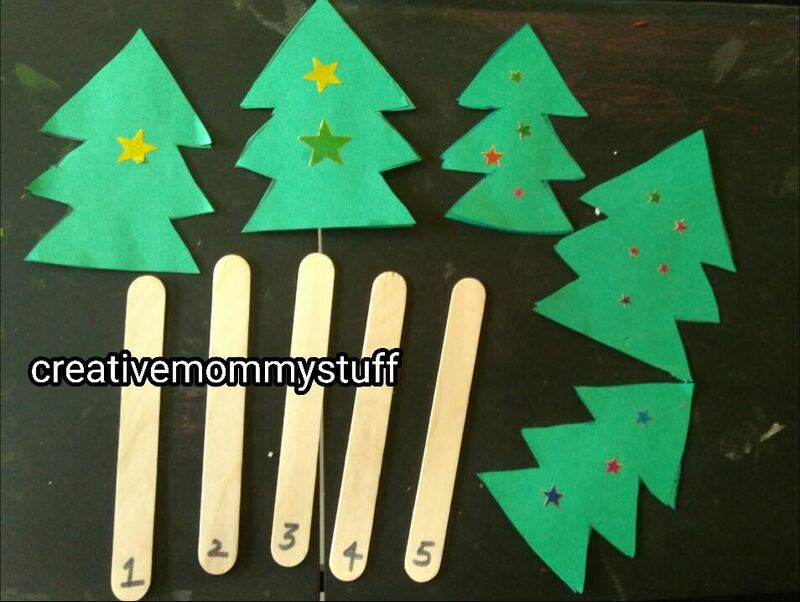 Math counting and matching activity - I made Christmas tree with colored paper and stick stars on them. 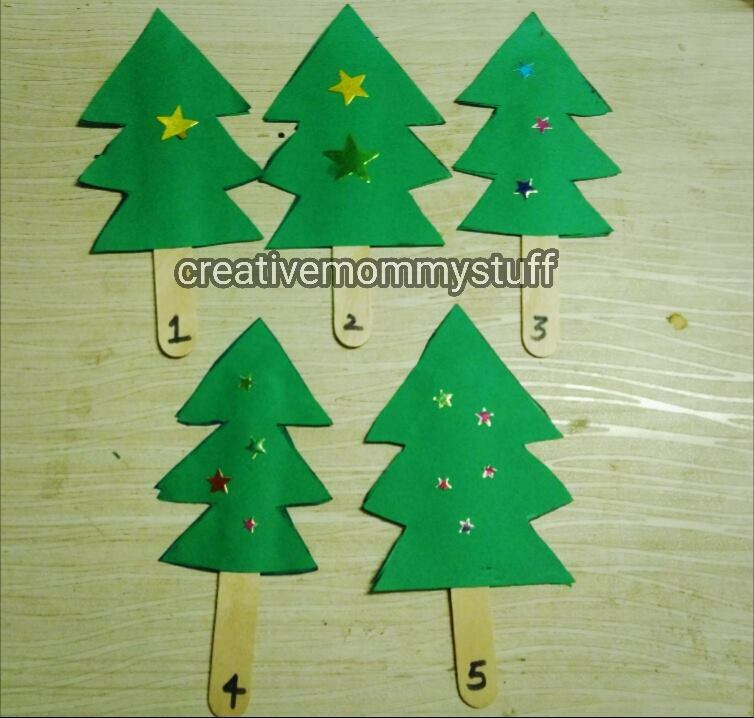 Them numbered the Popsicle and the matching activity was ready..
4. Christmas tree art- using a candle, I first drew the Christmas tree and then she painted with water Colors. This came up to be so beautiful... I really Loved the effect..
- where are Santa's pants? Christmas themed seek and find game printable. 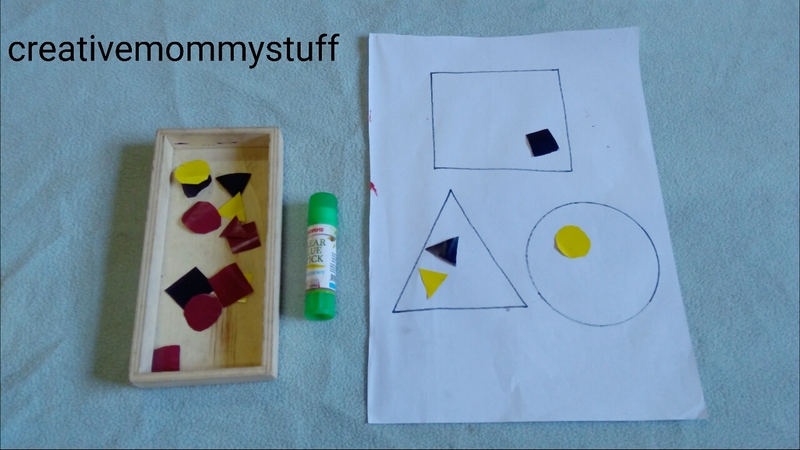 Spatial discrimination or spatial organisation is an activity where the kid has to reproduce the positions and patterns. A very nice and engaging activity. This can be easily carried as a travel bag activity. Kids learn about positions, patterns, creating the similar grid as shown.. 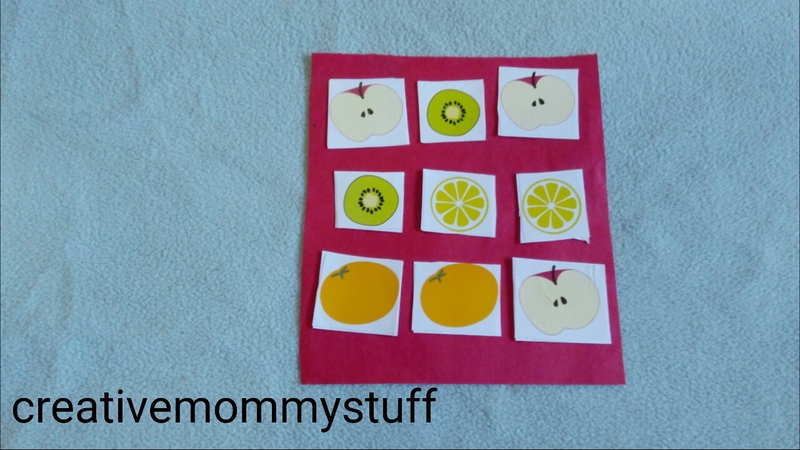 So the printable has a 2 X 2 grid and some sample grids with 6 different objects. 1. Place the grid in the center. 2. Place the individual objects in a line so that all are visible. 3. 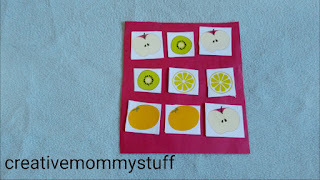 Now place a sample grid for the child to refer and reproduce the same. 4. 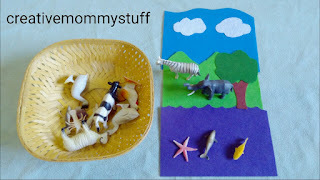 Go by one and one and the activity becomes fun once the child gets hold of the concept. This activity can be extended to 3 X 3 later on once the child is old enough to get the logic..
Download spatial discrimination printable here. This Montessori geography sorting activity was inspired from Uno Zwei tutu website. 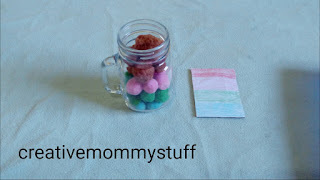 I really loved the idea and made one for my daughter and she enjoyed it very much.. 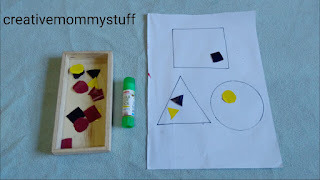 This activity is for shape sorting with some pasting work. I made this using card-stock paper and some colored craft papers. 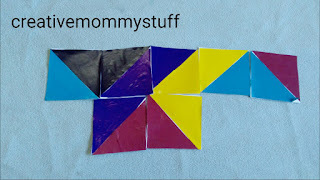 This was fun to explore to make different patterns out of it by matching the colors. Starting with the index, this book doesn't have the chapter numbered as 1,2,3 rather is kept alphabetical like A,B,C which is something unique about the book. So the book has 26 small chapters. Twinkle Khanna also known as Tina is an Indian newspaper columnist, author,film producer,interior designer and former film actress. this was her first book which were sold over one hundred thousand copies, making her India's highest-selling female writer of 2015. Throughout the book, Twinkle Khanna has talked about A to Z aspects of her life and this might be the motivation for writing the book. A very simple,plain, intelligible and many funny doses throughout the book. The author is narrating her daily routines and incidents in a very lively and entertaining way. 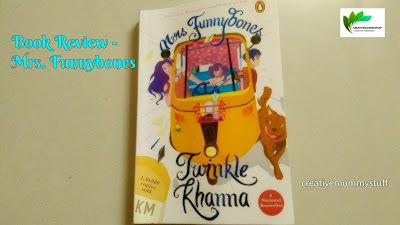 Reading the book feels very related as a mommy and Twinkle Khanna depicting her life is just like any other mom managing her work, business, children and in-laws. Her writing is very simple and keeps engaged throughout. Every incident depicted in the book feels like you are having a visual moving in front of your eyes. She also mentions many ugly facts that our society deals with and some small lessons to be learned. She has not sugar coated what she feels and has not filtered her opinions and has expressed what she experienced in the most unapologetic manner. So the purpose of this book will be to just entertain the readers. The author has made a good attempt to make the readers laugh through sharing her humor quotient but some of the jokes feel forced or pointless and some are mildly amused. #1000bookchallenge is a wonderful initiative by Renuka Mahesh from Explore Kids World. Reading is an important form of stimulation. 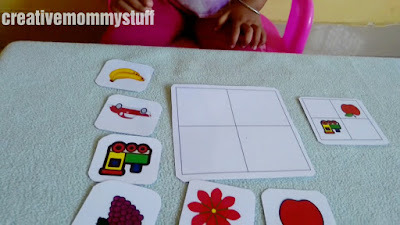 - Helps to build listening, memory and vocabulary skills. - Gives them information about the world around them. Travelling through the faraway lands and experiencing the magical fantasies. The heartbreaking stories to inspiring journey to some bitter truths of life. Some motivational quotes to hilarious laughters. The soul soothing smell of the new pages to the words lingering on our hearts. The sniffing human noses to the eyes of voracious readers. The tears of emotional souls to tickling brains..
Have a pick to the magical thing called "Books"and give a small little treat to your soul and some challenges yo your brains. Come join in the wonderful exercise to soul and mind. 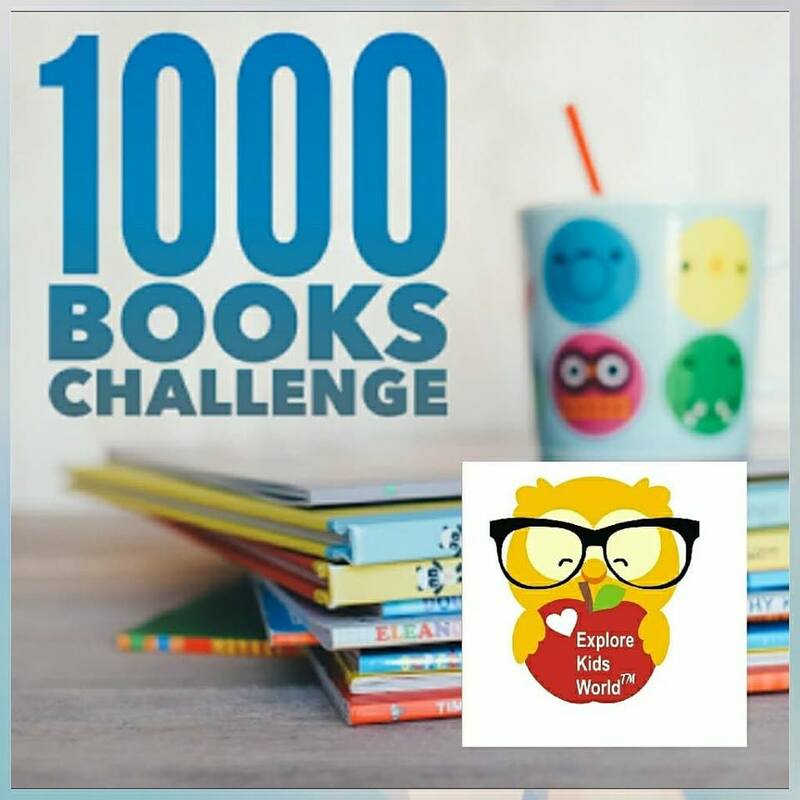 And join into our squad of reading #1000bookchallenge. Read 1000 books a year and do not forget to share what are you reading. 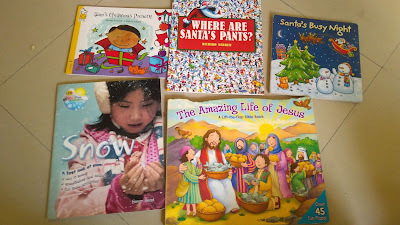 Lets make the world a better place by diverting eyes to books and a bit pacifying it from gadgets. - Post your reads and do not forget to tag #1000bookchallenge. And also number your book reads say 1/1000. - Certificate of appreciation to all who complete the challenge from Explore Kids World. 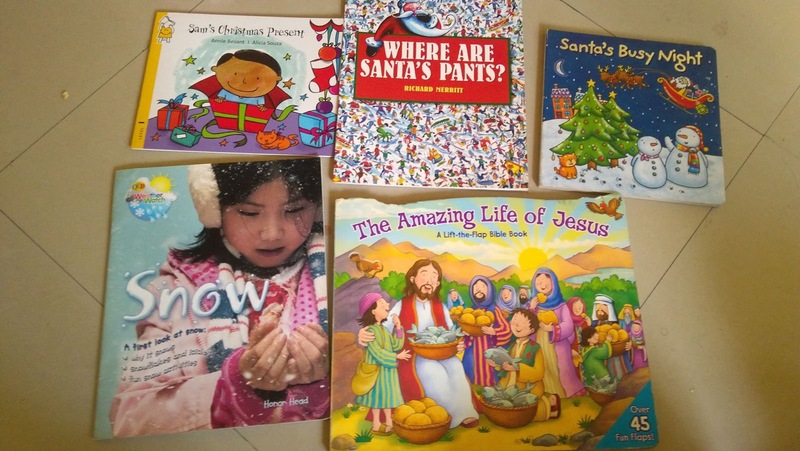 So go ahead and take up the challenge and share the joy of reading to your little ones. And this challenge is also open for the parents who wish to challenge themselves to keep the motivation to read more books this year. 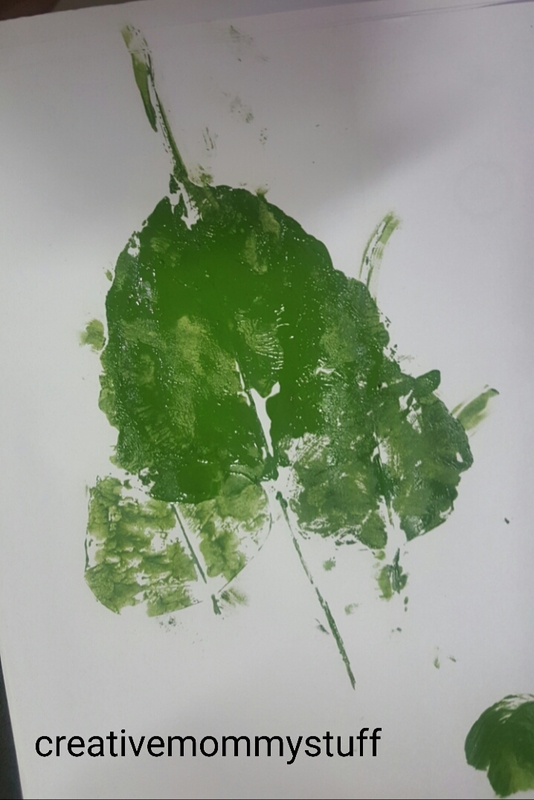 Leaf printing is a fun nature themed activity. - While on a nature walk, collect leaves of different shapes and sizes. - Cover the work area with newspaper or mat. Prepare different colors in a pallet. 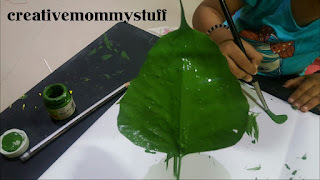 - Now place the leaf with the lower side up and let your child paint the entire surface of the leaf using a brush. 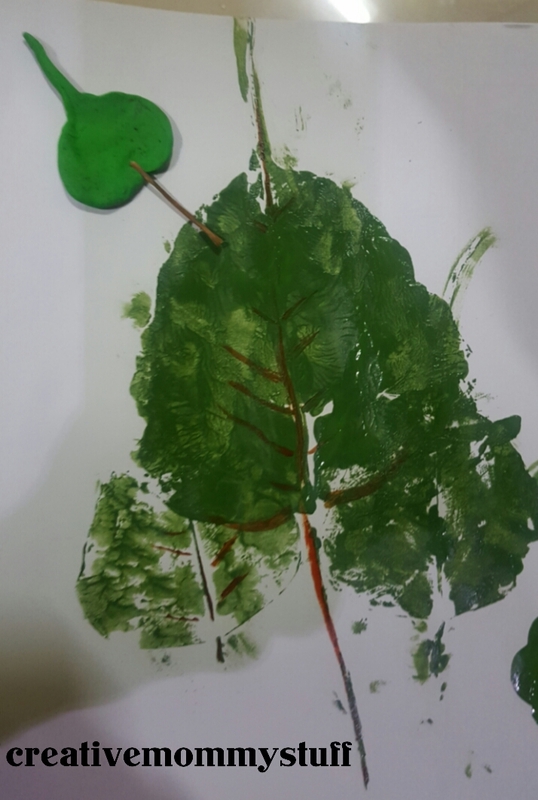 - Press the leaf onto the paper. Remove the leaf to reveal the beautiful print. 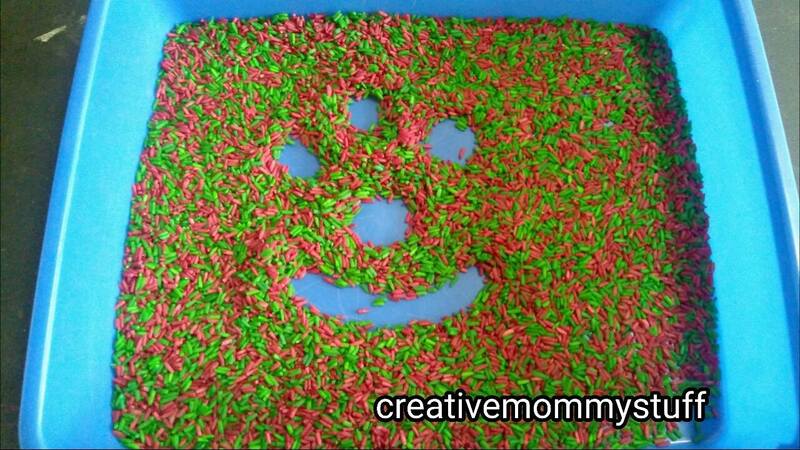 - You can repeat the process with different colors and different leaves. 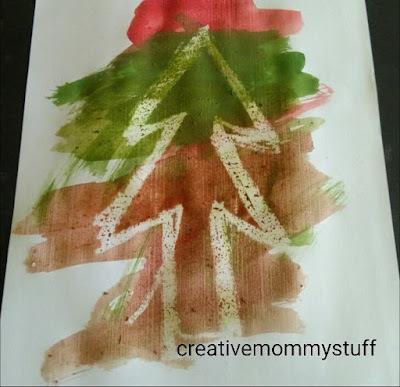 - You can also make overlapping leaf prints to form a colorful leaf collage. 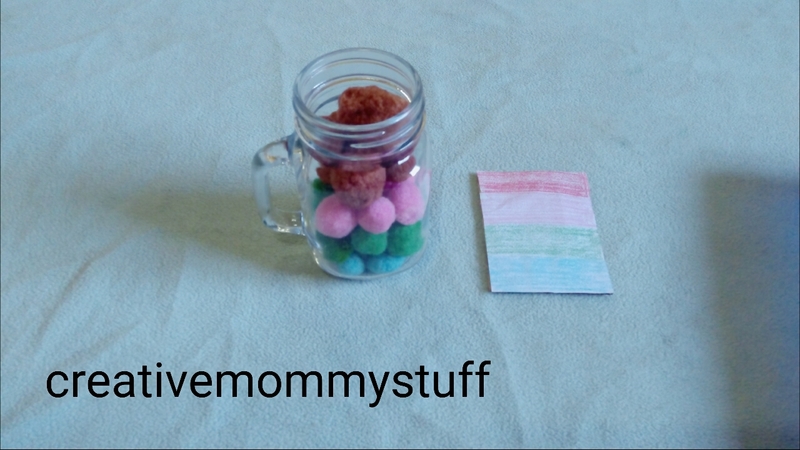 creativemommystuff. Ethereal theme. Powered by Blogger.